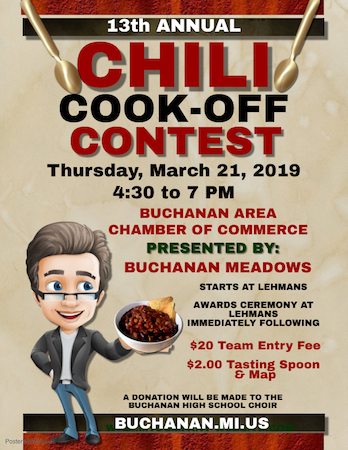 By jayne lamb|2019-03-21T18:38:19+00:00March 21st, 2019|General|Comments Off on We are participating in Buchanan’s 13th Annual Chili Cook-Off Tonight. By jayne lamb|2019-02-15T20:36:37+00:00November 21st, 2018|General|Comments Off on 2019 Seniors apply for the Buchanan Promise before Winter Break! Staff and board volunteers will be manning a table during the Buchanan Middle School and Ottawa Elementary School conferences next week. Stop by and ask questions about the Buchanan Promise or the new KICKSTART to CAREER program for BCS Kindergartners (click on the K2C tab above for more information this new program). By jayne lamb|2019-02-15T20:36:37+00:00November 1st, 2018|General|Comments Off on Look for the Buchanan Promise table at Middle School & Ottawa conferences next week. By Randy Hendrixson|2019-02-15T20:36:37+00:00October 19th, 2018|General|Comments Off on KICKSTART to CAREER is HERE! The Buchanan Promise Online Application for eligible 2019 Seniors will open on 10/1/2018. By jayne lamb|2019-02-15T20:36:37+00:00September 26th, 2018|General|Comments Off on The Buchanan Promise Online Application for eligible 2019 Seniors will open on 10/1/2018. Jayne Lamb, the Buchanan Promise Coordinator, will be introduced to the Class of 2019 at tonight's Buchanan High School Senior Night. She will be available after the program to answer questions students or parents may have about the Buchanan Promise. The Buchanan Promise AwardSpring application is scheduled to close tomorrow 8-1-18. Promise eligible students from 2017 and 2018 - have you uploaded your documents yet? August 1st is the published deadline for 2017 renewal students and 2018 new students to upload documents (tuition invoices for all and transcripts for renewals). The online application will reopen for the Buchanan Promise eligible 2019 graduates in October. By jayne lamb|2019-02-15T20:36:37+00:00July 31st, 2018|General|Comments Off on The Buchanan Promise AwardSpring application is scheduled to close tomorrow 8-1-18. 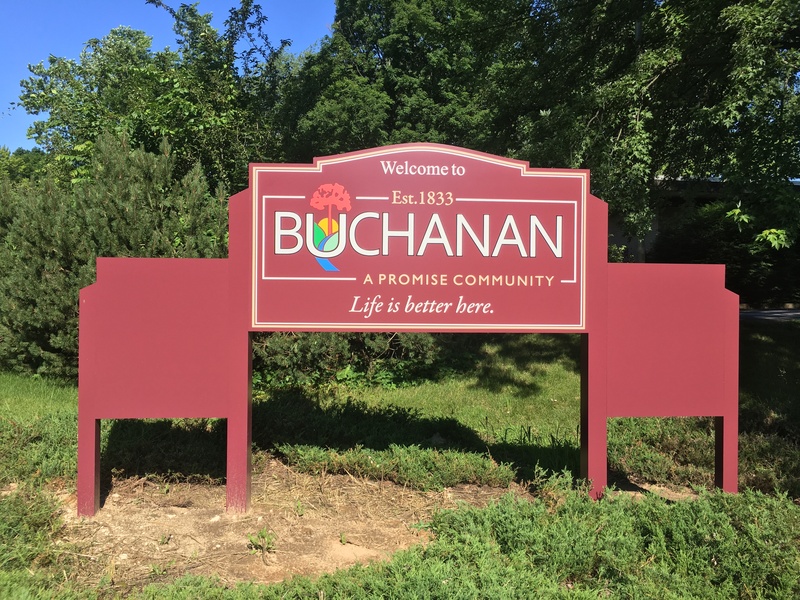 Thank you to the City of Buchanan for debuting the new signs at the city's entrances! We are proud to be "A Promise Community"!